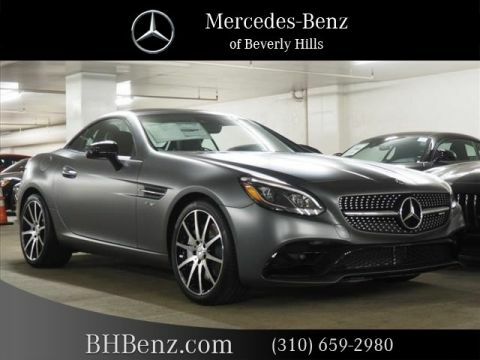 We are excited to offer this 2019 Mercedes-Benz SLC. This Mercedes-Benz includes: GARMIN MAP PILOT (PIO) Navigation System NIGHT PACKAGE Tires - Front Performance Aluminum Wheels Tires - Rear Performance DESIGNO DEEP WHITE/BLACK TWO-TONE LEATHER PACKAGE Leather Seats BLACK ASH WOOD TRIM Woodgrain Interior Trim ANALOG CLOCK ON DASHTOP PREMIUM PACKAGE Multi-Zone A/C Keyless Start HD Radio A/C Climate Control Heated Front Seat(s) Satellite Radio Power Door Locks Keyless Entry Blind Spot Monitor HARMAN/KARDON LOGIC7 SURROUND SOUND SYSTEM Premium Sound System AMG LINE EXTERIOR Transmission w/Dual Shift Mode Tires - Front Performance Aluminum Wheels Floor Mats Tires - Rear Performance AMBIENT LIGHTING SMARTPHONE INTEGRATION PACKAGE Smart Device Integration PARKTRONIC W/ADVANCED PARKING GUIDANCE Rear Parking Aid REAR DECK SPOILER (PIO) Rear Spoiler WHEEL LOCKING BOLTS (PIO) Wheel Locks *Note - For third party subscriptions or services, please contact the dealer for more information. 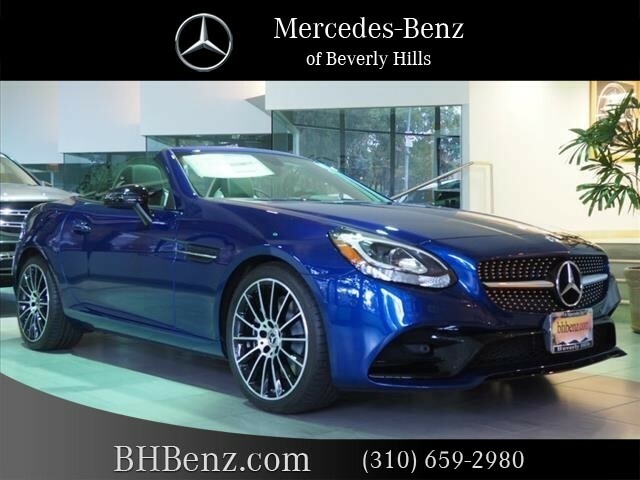 * With adjectives like sporty, classy, and downright indulgent to describe the 2019 Mercedes-Benz SLC SLC 300, you'll love every minute of owning and driving this convertible. You may never go back to a closed-cabin car! Pull up in the vehicle and the valet will want to parked on the front row. 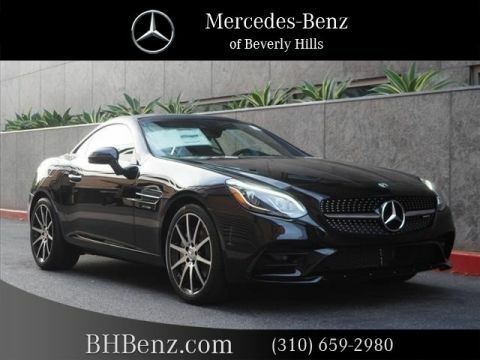 This Mercedes-Benz SLC is the vehicle others dream to own. Don't miss your chance to make it your new ride. Where do you need to go today? Just punch it into the Mercedes-Benz SLC on-board navigation system and hit the road. 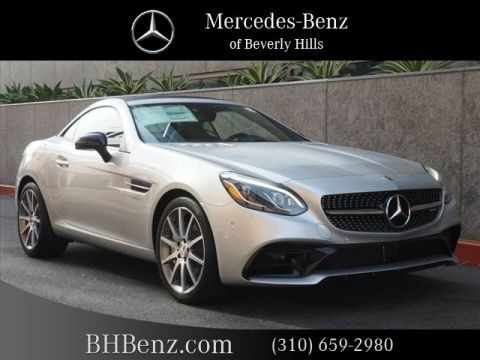 Added comfort with contemporary style is the leather interior to heighten the quality and craftsmanship for the Mercedes-Benz SLC We look forward to seeing you soon! Please call us for more information.